CLINTON HILL — Pratt's Film/Video program has found a new home on Myrtle Avenue. A screening room, sound stages, recording studio, and mixing rooms are planned for the space, according to Jacki Ochs, chair of Pratt's Film/Video program. "We will literally be jumping for joy the day we get to move into the new space," she said. The 15,000-square-foot building at 550 Myrtle Ave. at the corner of Emerson Place is currently home to the Pratt Store. The building will soon be getting a major upgrade by WASA/Studio A, the firm responsible for Pratt's brick and glass-laden Myrtle Hall down the street. The standing building will be gut renovated and the new media center will get a complete redesign. "But the mezzanine will stay," said Ochs. The soon-to-be closed Pratt Store opened in 2005 to much acclaim. It primarily carried art supplies. "There is nothing else quite like it anywhere in the country," Thomas F. Schutte, the president of Pratt Institute, told The New York Times after the store's opening. "Obviously, it will be a tremendous resource for our students but, because of its location, for the community as well." But six years later Utrecht Art Supply Store opened in the ground floor of Myrtle Hall. 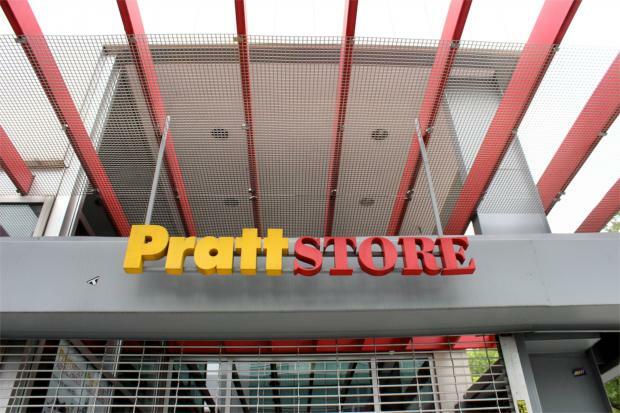 The new store quickly became "a godsend for nearby Pratt students," according to Brownstoner, freeing up 550 Myrtle Ave. for other Pratt needs. And, according to Ochs, the Film/Video program is quite needy. The program currently shares the campus ARC Building with Mathematics and Science and the Photography program. "We are all clamoring for more space," she said. "We are anxious to move into a facility that addresses the needs of our department." The Film/Video program currently has 75 students, but with the new building, they hope to double in size. Famous alumni include Glenn Ficarra and John Requa who directed "Crazy, Stupid, Love." The plans for the new space are still in the design stages. Pratt officials said the Film/Video program will be able to move into their new home by fall of 2014, according to Ochs. Pratt Store is currently having a 40-percent-off closing sale.